If you can believe it, this is my second guest post today. For my MFT post, please scroll down. I'm also back today with the second of my Uniko Guest posts (here's the first). I've been working with All Occasion Sentiments #6 and I just love how well they work with all of the previous sets Uniko has released. My first card was inspired by this pin. I used the daisy from Flower Power #7. I love the vibrant colour combination, but of course, I wanted some white space! I love how Beverley designed the 'you make me' (and the 'be your own kind of') bits of the sentiments to fit right into the main words ('smile' and beautiful'). I finished with the 3 hearts from Flower Power #3. For my second card, I used Beautiful from the current release, and the rest of the sentiment is from All Occasion Sentiments #3. 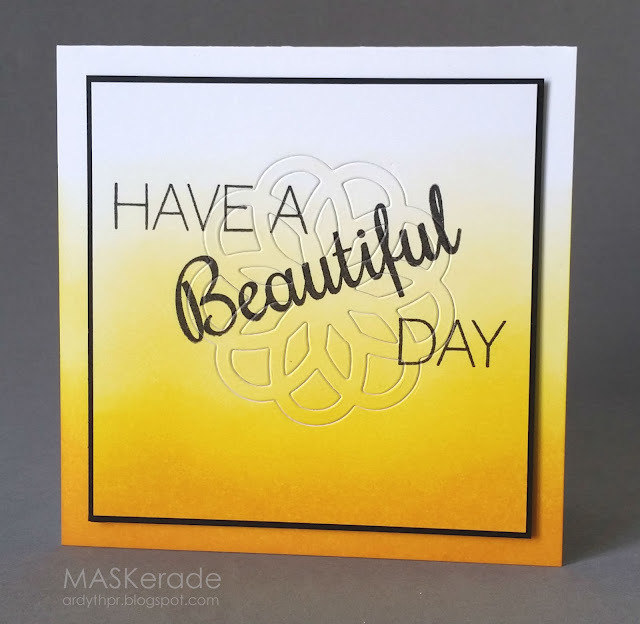 I created a background by die cutting and inlaying the beautiful graphic flower from Time. I sponged the panel as well as the cardbase in warm sunny colours. 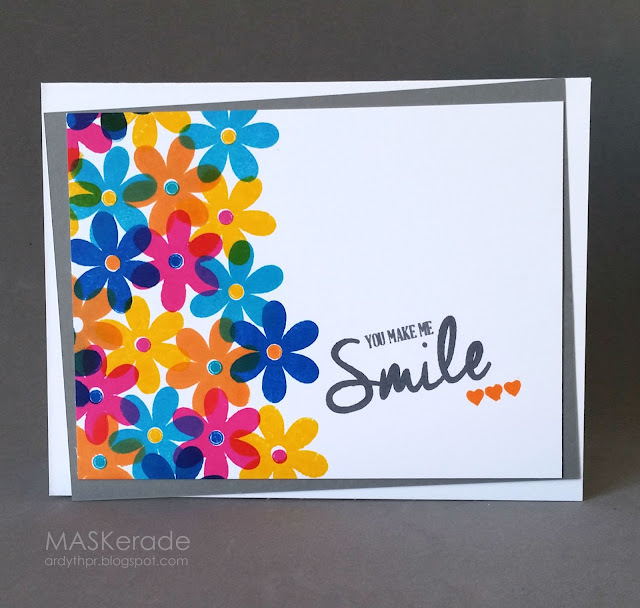 I love the casual, handwritten feeling of the 'smile' sentiment and decided to have a little fun with it! 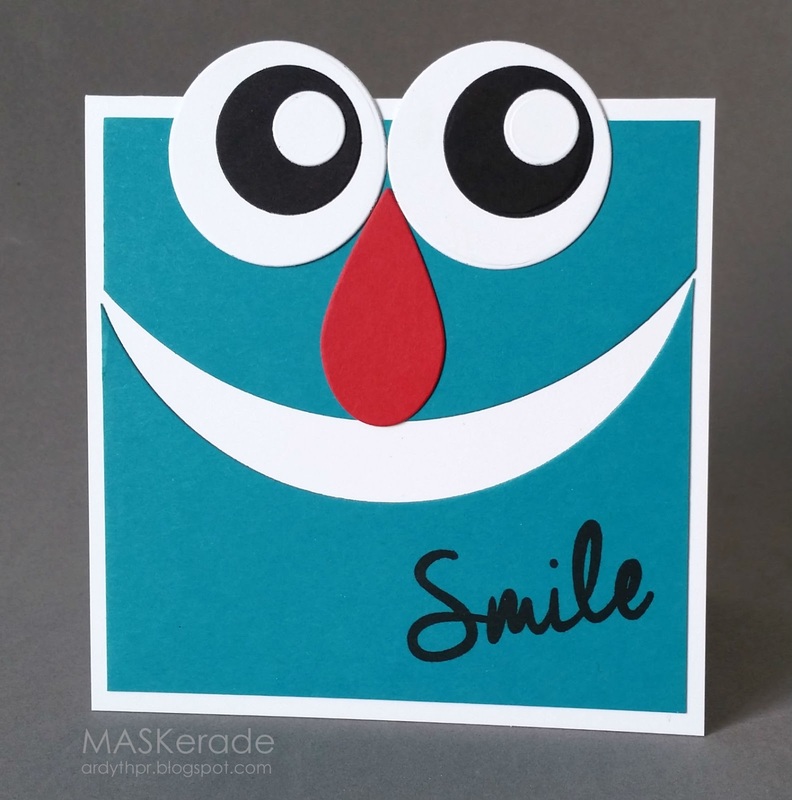 I used simple die cut shapes to create a funny face that is sure to make the recipient smile. I want to thank Bev for inviting me to Guest this month - what an privilege to be an honourary member of the Design Team! Fantastic cards Ardyth. I love that big happy face! Stunning cards! I'm totally smitten by your use of vibrant colours on the first card, so inpiring! I completely agree with Sarah! Amazing talent. Awesome cards, Ardyth! These are just terrific and how fun is that big smile!! SMILE...yep, all over my face when I saw your delightful trio! Like you, I LOVE the vibrant colors of the flowers in your first card. The second card is COOL - beautifully blended and an awesome inlaid image. Third card would make a grumpy guy smile!!! Love the eyes!